Natasha Bhagwandin, M.D., earned her medical degree at State University of New York, Upstate Medical University. She also holds a Bachelor of Art degree in Psychology from City University of New York, Queens College. 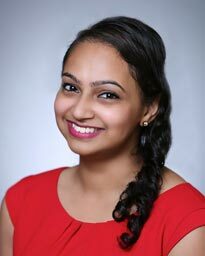 Dr. Bhagwandin completed her residency at Children’s Memorial Hermann Hospital where she served as senior resident responsible for supervising and teaching interns and medical students. Dr. Bhagwandin was inspired to enter the field of medicine by witnessing the positive doctor-patient experience her mother had during cancer treatment. Dr. Bhagwandin’s approach to building strong doctor-patient relationships is to invest time getting to know each patient combined with advanced diagnostics and comprehensive screenings. She sees patients from newborns to age 18 and treats patients for sick visits as well as preventive medicine, such as immunizations and wellness checkups. Her special interest is in adolescent healthcare issues like eating disorders and reproductive health for teenagers. She is conversational in Spanish, board certified and a member of the Society for Adolescent Health and Medicine, the American Academy of Pediatrics, the Texas Pediatric Society and the American Medical Association. Though she received her education in New York, Dr. Bhagwandin has adopted Houston and the Texas Medical Center as her new home. “I thrive on serving my community and involving myself in different events and activities so that the community sees me as a resource for optimizing their health,” Dr. Bhagwandin said. In her spare time, Dr. Bhagwandin enjoys reading, live music and staying fit with Zumba. Dr. Bhagwandin practices at Memorial Hermann Medical Group Pediatrics Atascocita. Situated along West Lake Houston Parkway near the intersection of Will Clayton Parkway, the Memorial Hermann Medical Group Pediatrics primary care center will serve as a medical option for families needing pediatric medical care in the neighboring communities.